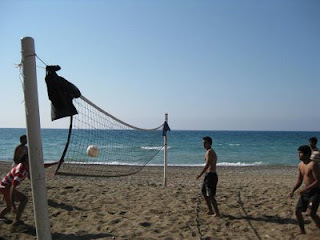 If you came across this site by searching "Camping in Cyprus", "Camping in Polis" or something similar, then go ahead. Summer has been started. Its another great time in Cyprus. After a long period we finally executed our Camping script. We coded the script very quickly (Friday during lunch) and executed the next day, and the outcome was successfull and pleasant. 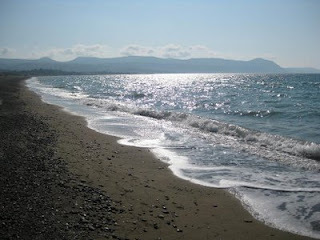 The site is the best kept secret of cyprus - Polis Chrysochous camping site. 1. The first and formost thing is Camping tents or canvas. 2. 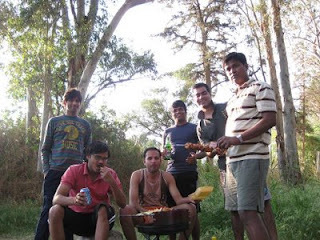 Barbeque Stand and Stuff, Koyla(Coal or charcoal), and dry sticks. 3. Small music system; If you are a dance freak. Antakshari(Singing songs) is always on top of Indian checklist during such events. 4. Swimming stuff, Sun screen, and other, as the beach is on the next door. 5. Cooking and Drinking stuff as some snacks, beverage, fruits, and food to cook. 6. Night Lamps, Torch or some light for night. We preferred the mashaals. 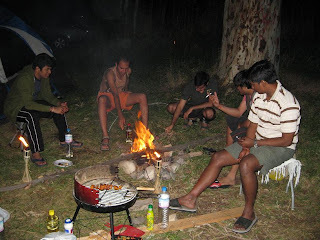 To give proper camping look - as we got these from Carrefour mall, the biggest advantage was 0.50 Euros per mashaal(Torch), and one bottle of mashaal oil. 7. Blanket and quilt, during the night as It gets bit cold. Bring the string to dry the wet clothes. 8. Folding Chairs and table and other personal stuff. 10.Beach Vollyball, as the beach vollyball court is nearby. or Badminton net and stuff. 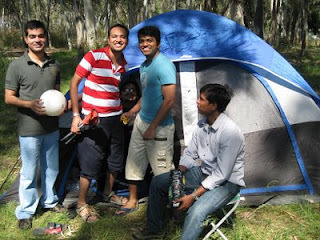 About Polis Camping Site: The Polis camping site is near the sea, in a eucalyptus grove. You will get all the necessary services here as toilet, showers, small restaurant at the beach side; the tranquil and soothing environment. You will forget all your work and busy life after coming to the site and will enjoy the calm and peaceful environment for mental relaxation and recreation. You will be charged 2.5 Euros per person, and 3 Euros per car to enjoy the camping site. We enjoyed and relaxed here out of the city in the quiet and fresh atmosphere. Polis is in one of the most beautiful areas of Cyprus, near romantic sites, close to the place where Aphrodite, goddess of love and beauty, used to meet her beloved Adonis, near the Akamas Peninsula with its famous Baths of Aphrodite. Polis offers plenty of natural and combine beauty of sea, mountain and plain. Polis is just 45 min drive from Pafos International Airport, 2 hrs from Larnaka airport and approx 2 hrs from Limassol. 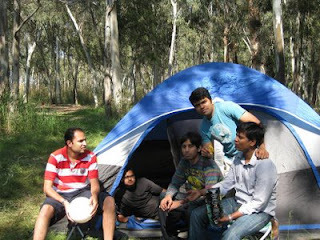 Camping sites in Cyprus: Cyprus has six licensed camping sites. I found Polis the most popular and attracting one. Out of these, five camping sites are on the beach and one is in the Troodos mountains. If any of these number is not working, Please check for the latest from CTO (Cyprus Tourism Organisation) Limassol (+357 25362756). hey nice blog :)..exchange links?